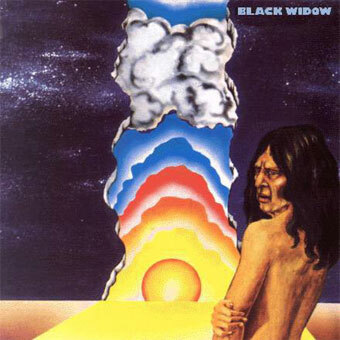 Black Widow's second album from 1971. Black Widow's eponymous album was a conscious attempt on the band's part to scale back the satanic trappings that had dominated its debut, and, in the process, redirect the media's focus away from the controversy and onto the group's music. On the heels of their debut album, Sacrifice, the group's music evolved into an original amalgam of progressive rock, folk, british blues and hard rock. Check out the beautiful "The Gypsy", which highlights Clive Jones' flute, and you'll realize why this album is a milestone of the genre. In gatefold cover.